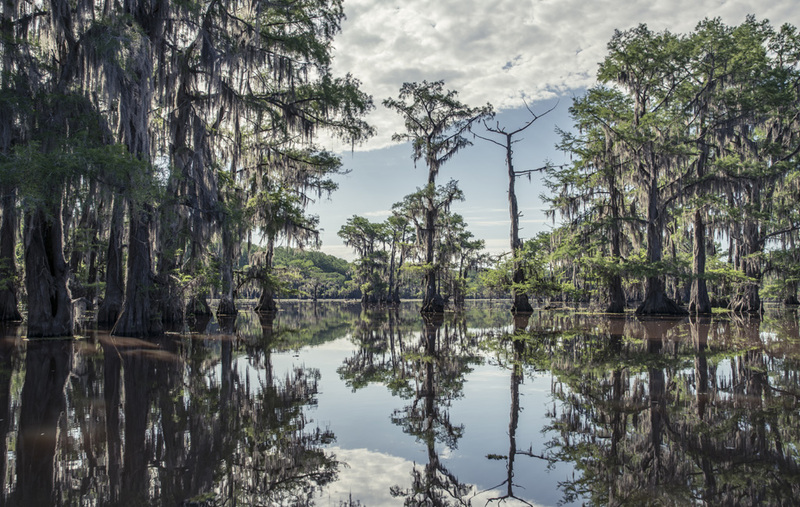 Legends of the Caddo Indians provide explanations for the origin of the lake they called Tso’to, but geologists believe Caddo Lake was formed by the Great Raft, a nearly 100-mile-long logjam on the Red River in Louisiana. 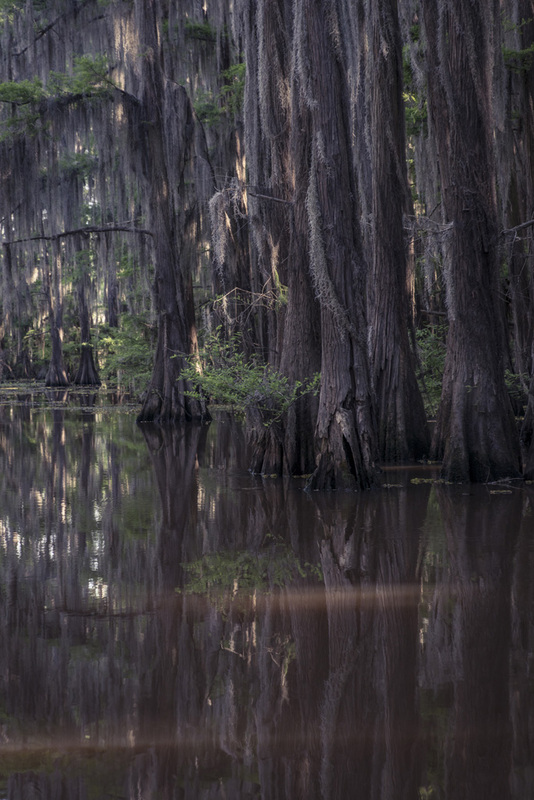 Caddo lived in the nearby village Sha’chahdínnih (Timber Hill) from roughly 1800 to the early 1840s, when East Texas tribes were forcibly relocated. 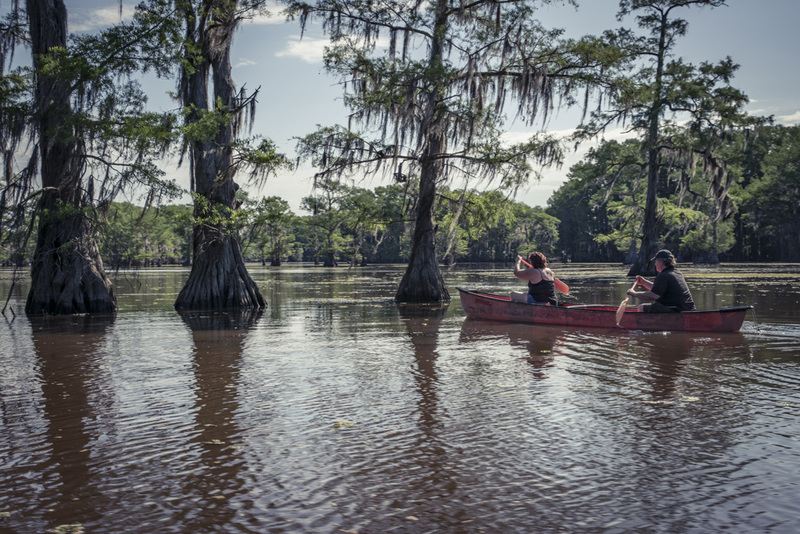 Their removal marked the end of at least 12,000 years of indigenous habitation of the area. 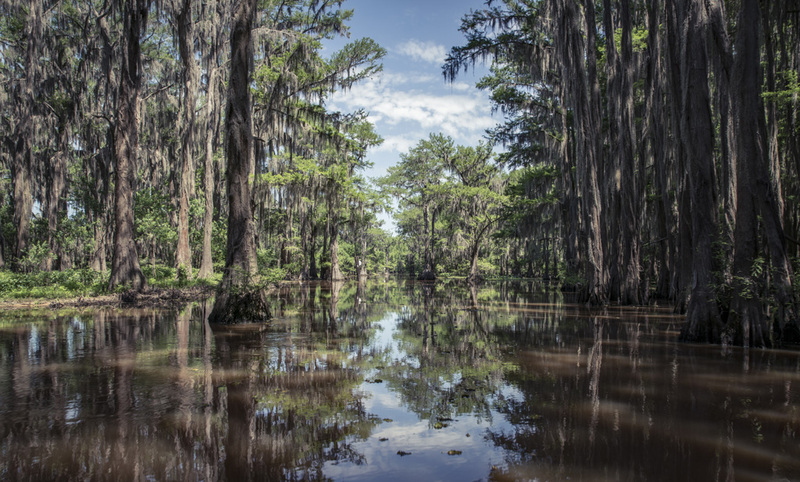 During the Republic of Texas era and a few decades during statehood, riverboats plied the swampy waters of Caddo Lake, then known as Ferry Lake or Big Lake. 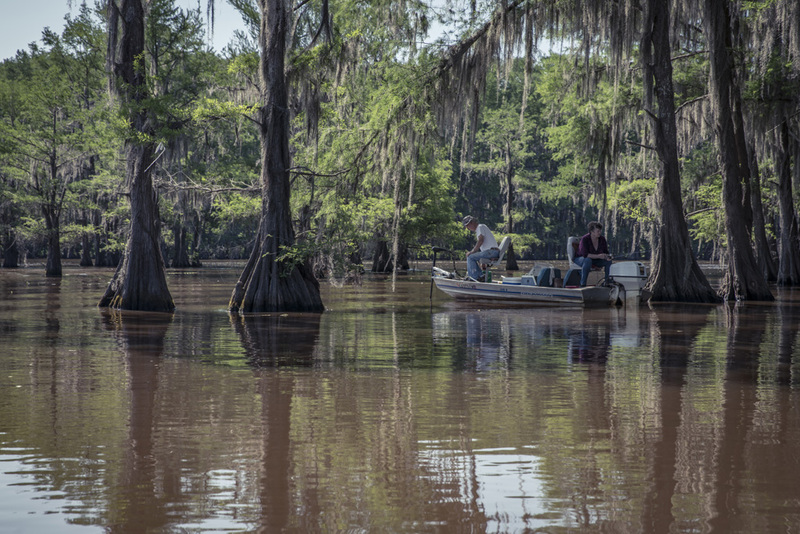 Goods and people were transported on steamboats between Louisiana and bustling Texas ports such as Swanson’s Landing, Port Caddo, and Jefferson. 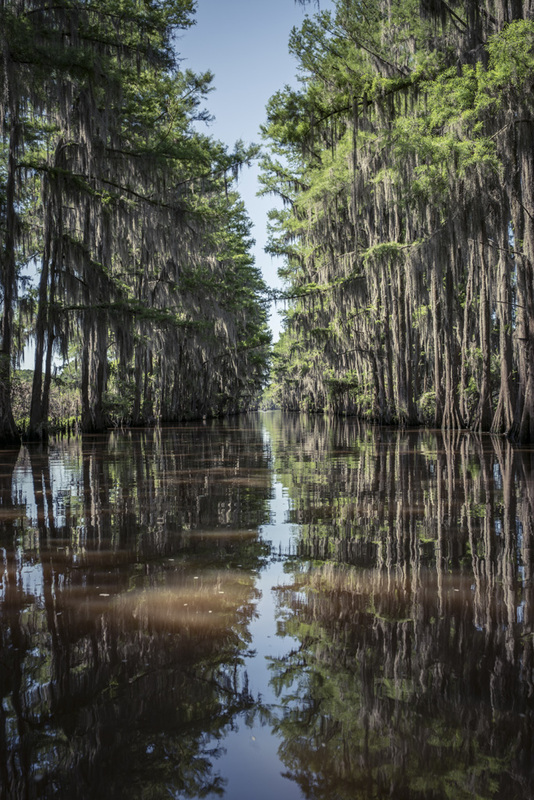 The riverboat freight industry thrived and expanded when the lake was connected to the railroad in the mid-1850s. 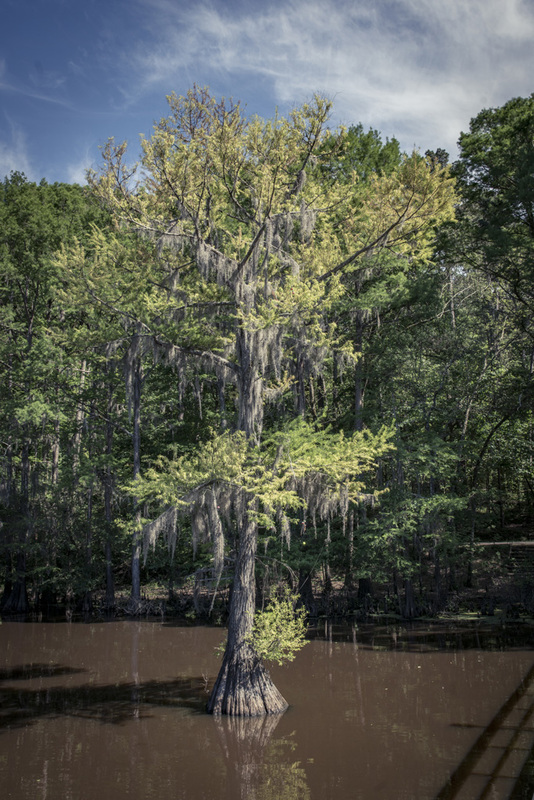 But all that changed in the 1870s when the Great Raft was cleared by the U.S. Army Corps of Engineers. 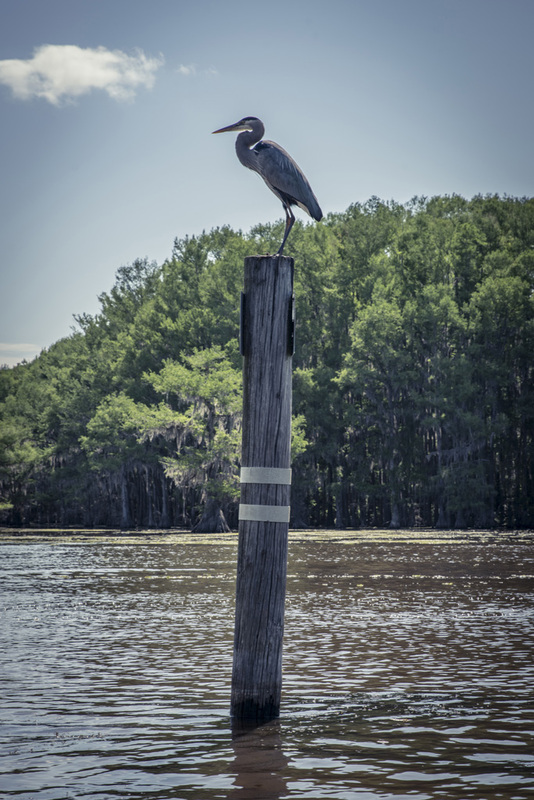 The water level fell dramatically. 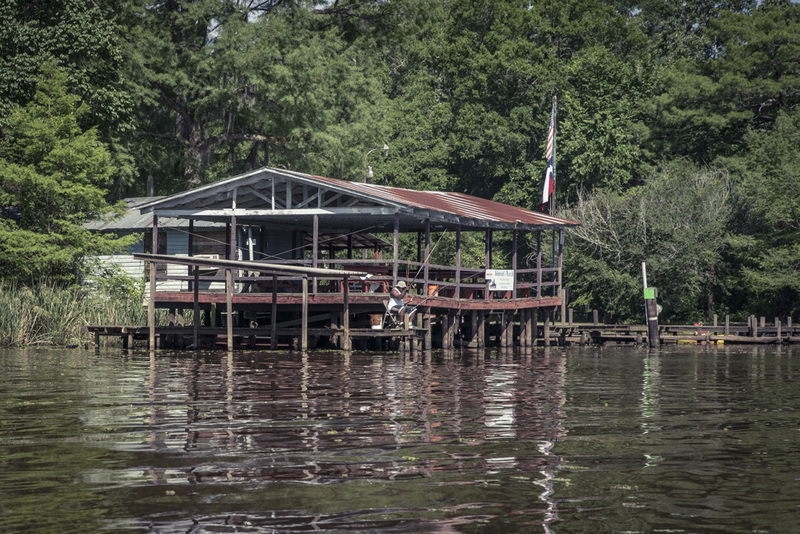 The expansion of the railroad over the next couple decades then sealed the fate of the riverboat industry. 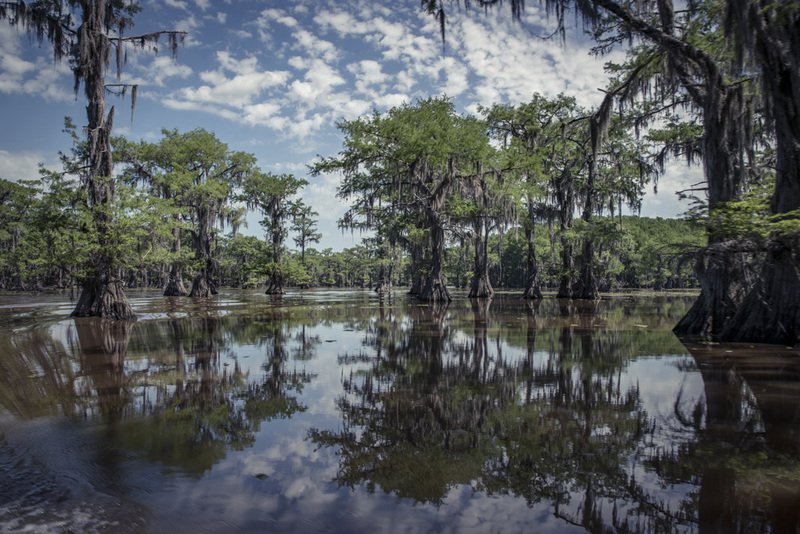 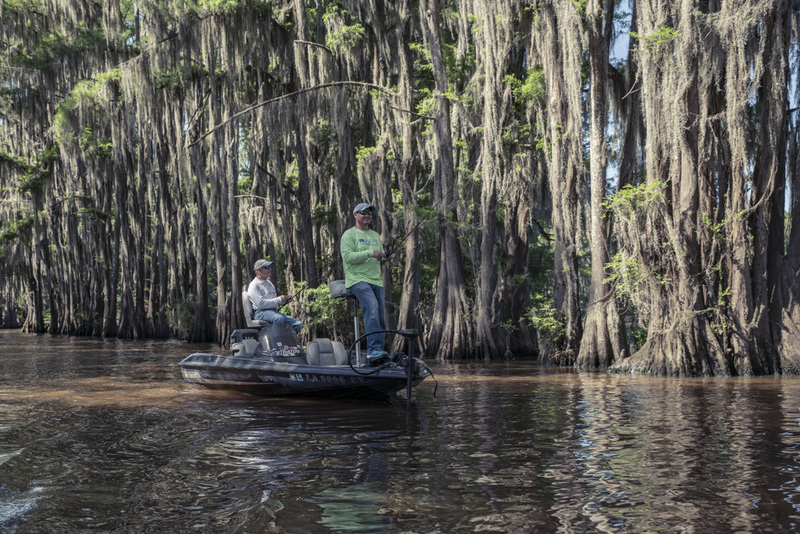 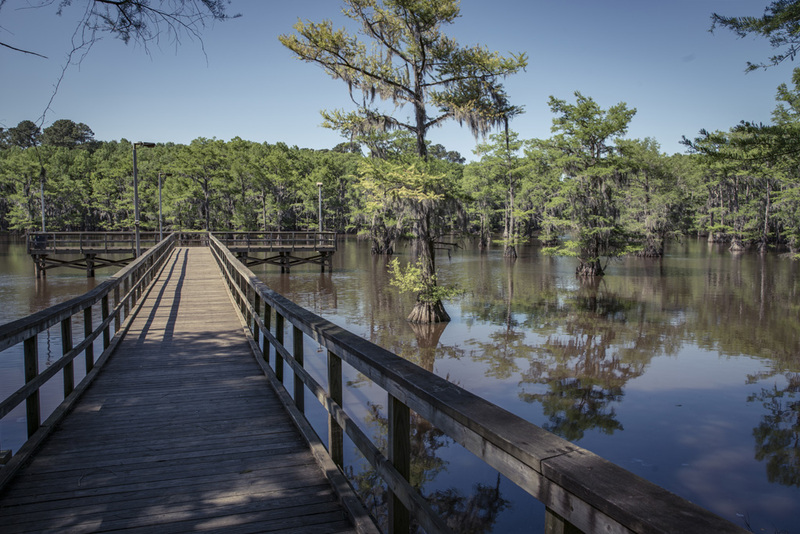 Today, Caddo Lake primarily draws visitors seeking water recreation and nature experiences. 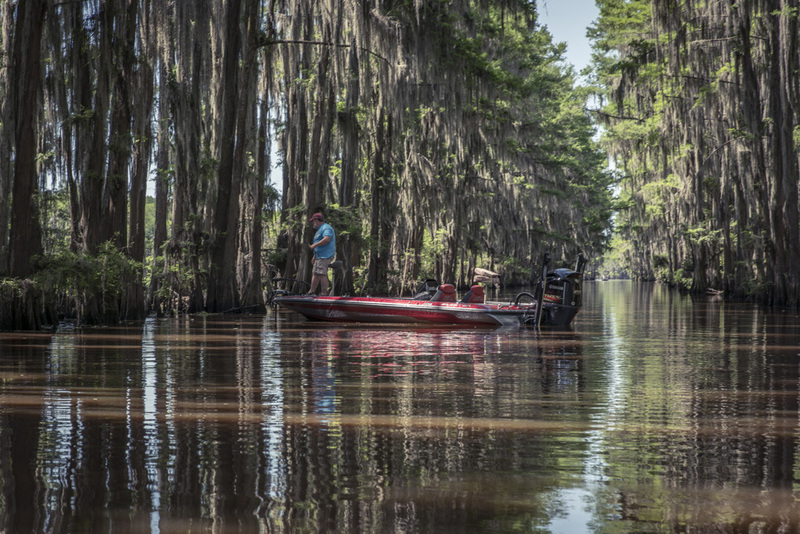 Travelers can base a trip near the town of Uncertain, where they’ll find rental properties and boat launches for fishing, boating, and paddling expeditions. 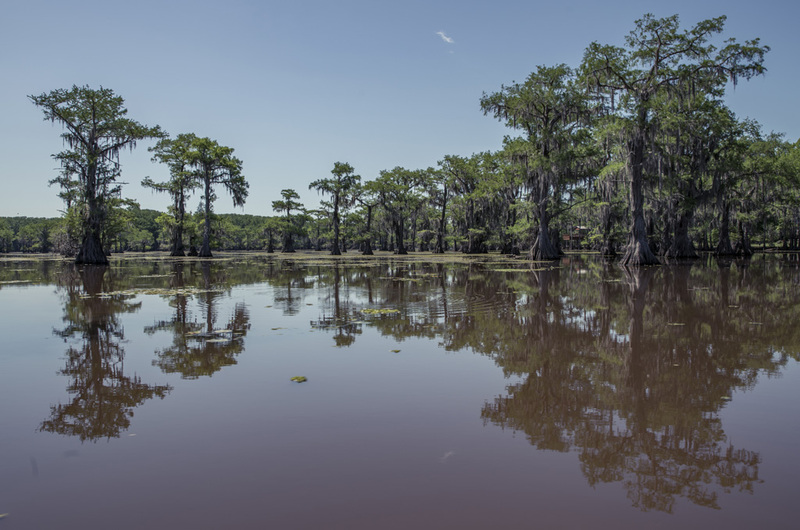 These are good put-in points to explore the lake via kayak or canoe on one of Texas Parks and Wildlife Department’s officially designated paddling trails. 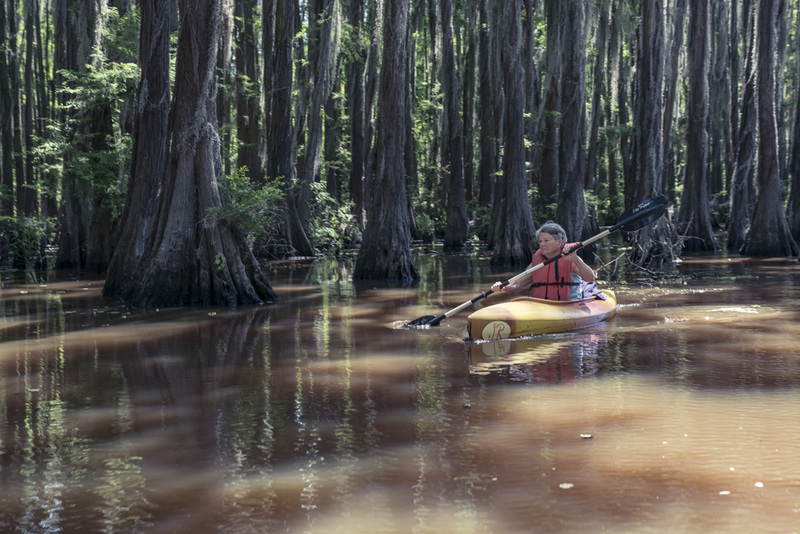 White signs nailed to trees mark the routes for the Cathedral, Turtle Shell, and Old Folks Playground trails, which guide paddlers through the lake’s famous Spanish moss-covered cypress trees. 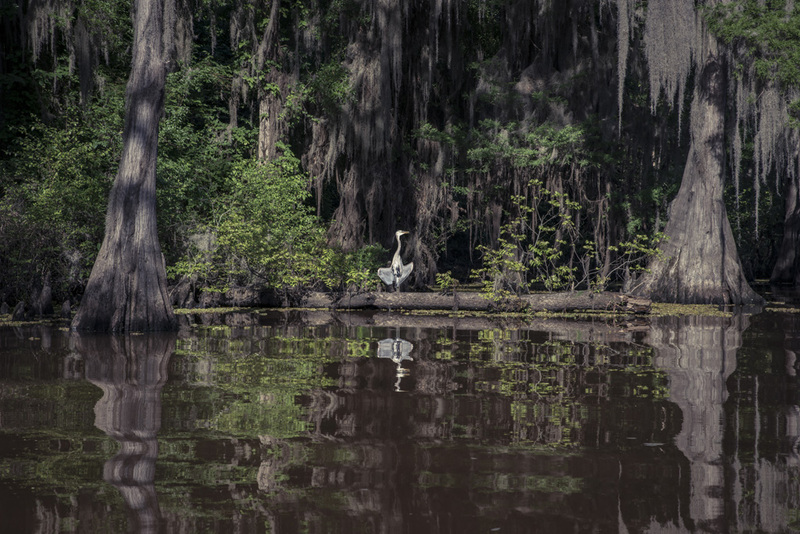 Herons, egrets, turtles, and jumping fish make regular appearances, while a host of other wildlife—including alligators and beavers—tend to be secluded. 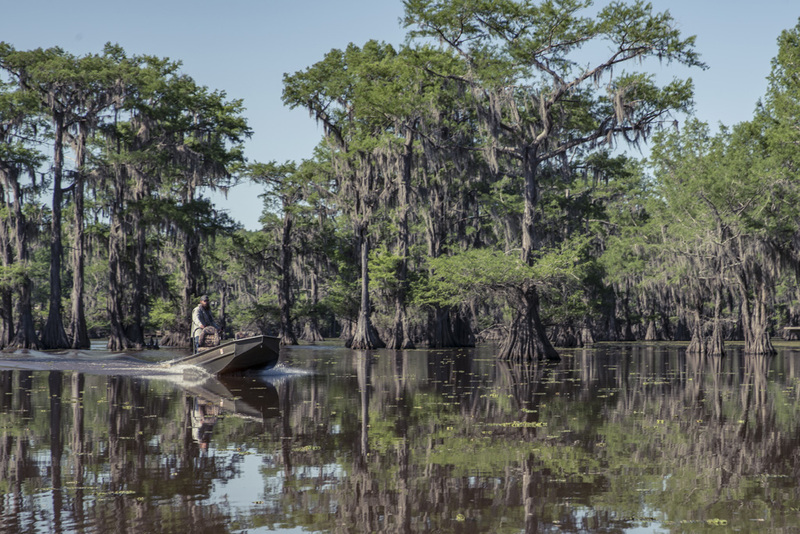 Flat-bottomed motorboats are available to rent for deeper ventures into the sloughs and bayous of the swamp, but routes should be followed closely, as it’s easy to get stuck in the shallows or lost in the labyrinthine waterways. 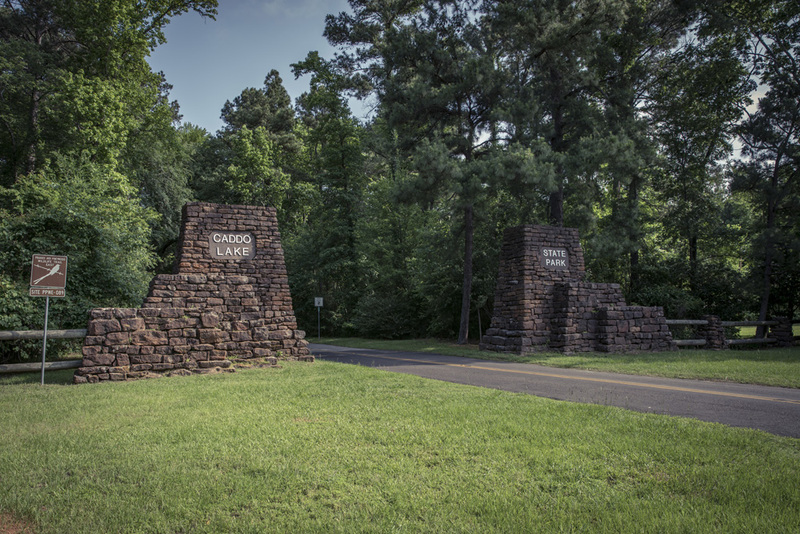 A Texas Historical Commission marker greets heritage travelers at Caddo Lake State Park, where they’ll find recreational opportunities and historic structures built by the Civilian Conservation Corps (CCC) in the 1930s. 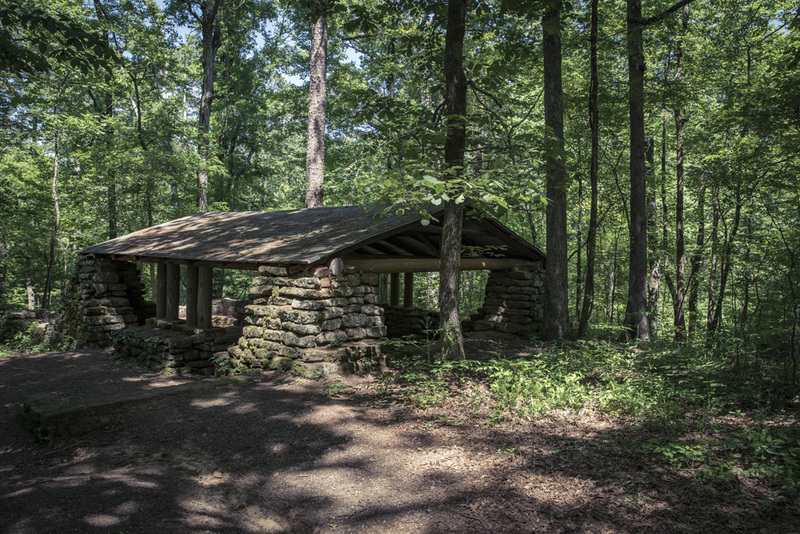 Nine cabins, a group recreation hall, and a shelter house are among the CCC-constructed buildings standing today. 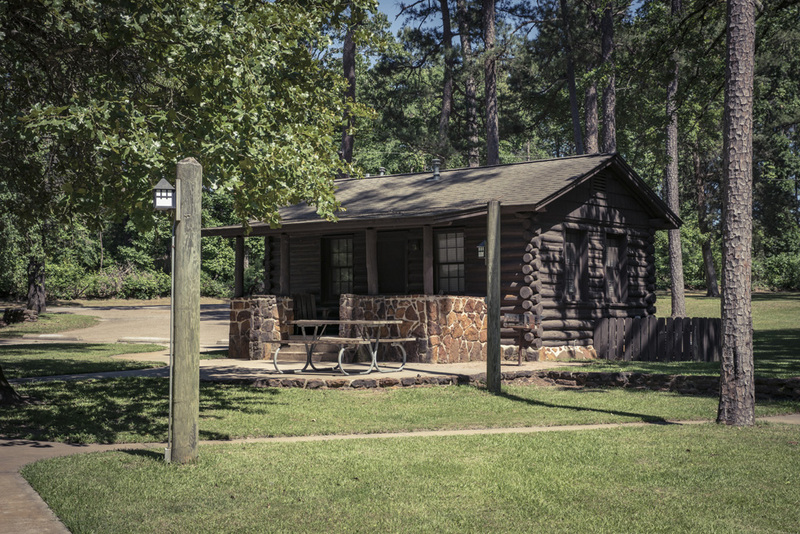 Built in a rustic style from natural materials in the surrounding forest, the cabins make a perfect home base for explorations of the park. 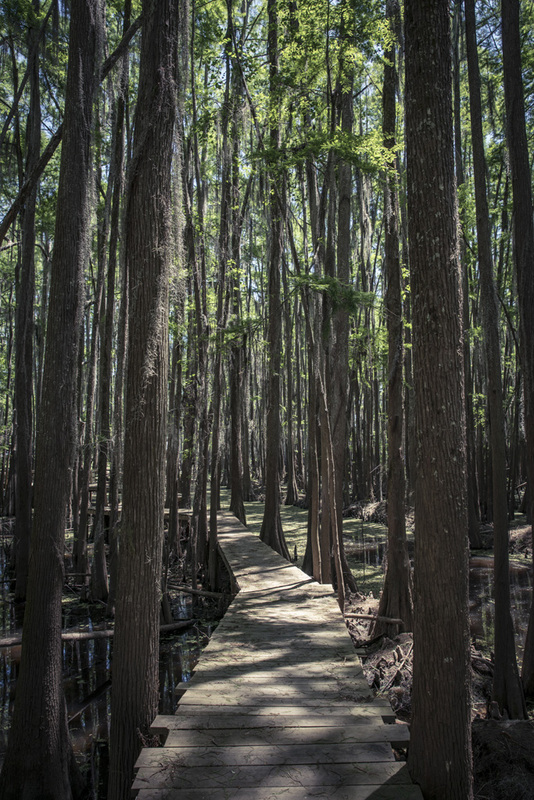 The nearby Pine Ridge hiking trail connects to the Caddo Forest Trail and leads to the shelter house (aka CCC Pavilion) for an easy hike of less than a mile. 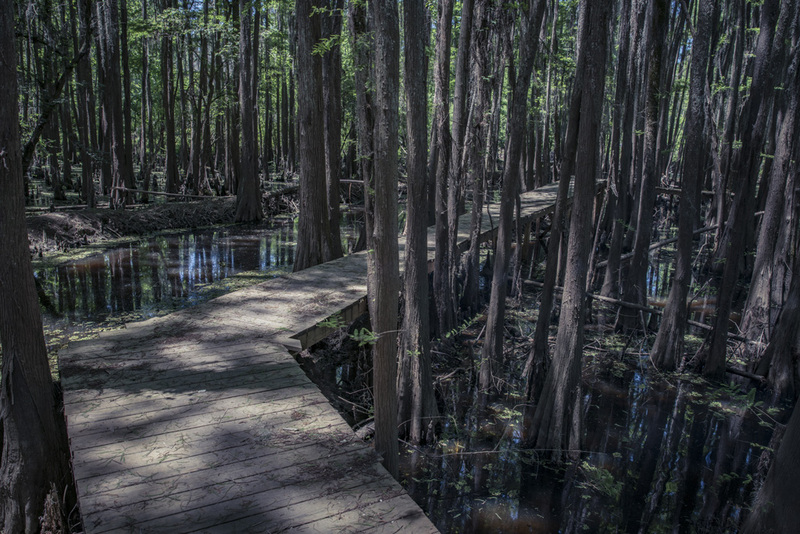 Combine it with other trails that wind through the forest for a memorable and hilly trek of nearly two miles.